Read Slam Adams’ review here! Plot: FBI agent Nate Foster (Daniel Radcliffe) struggles to find a foothold in the world of counter-terrorism. Ridiculed by his co-workers and chastised by his superior Tom (Nestor Carbonell), finds himself adrift and rudderless. 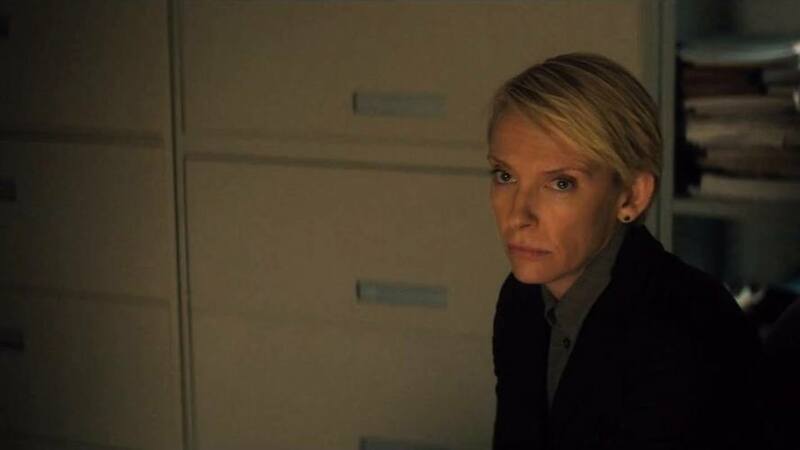 However, Special Agent Angela Zamparo (Toni Collette) sees potential in Foster’s innate intercommunication skills. When Zamparo recruits Foster to infiltrate a white supremacist group in the D.C. area, Nate jumps at the chance. As Nate delves deeper into the inner workings the danger begins to escalate and he must stop a deadly terrorist plot before it causes a massive death toll–including his own. Review: I never thought going into 2016 that the best movie I’ve seen this year (Green Room) would revolve around a Neo-Nazi group led my Patrick Stewart. The fact that Imperium, which tackles the same subject (albeit differently than Green Room), would be possibly the second best boggles the mind. Tense, impeccably directed, and superbly acted, director Daniel Rugussis’ examination of white supremacy in 21st century America proves thought-provoking and thrilling at the same time. In an election year where racism and hate seem to dominate the headlines, Rugussis’ film couldn’t be more timely. And yet Rugussis doesn’t paint all the white supremacists involved with a broad brush. They aren’t some one note Hitler cartoon come to life but real people with families, financial issues, and personal struggles. This is especially true of Gerry (Sam Trammell of True Blood fame) who’s well-educated and charming. Granted that’s not to say that what these people are doing isn’t ignorant and reprehensible (it is) it’s just a testament to Rugussis’ screenplay that he’s able to create empathy for these characters. What’s intriguing is that Imperium actually gives the audience a perspective of four types of white supremacists. Gerry as I mentioned represents the educated type, radio host Dallas Wolf (Tracy Letts) serves as a Mike Savage like character profiting off the ignorance of others, disorganized punks who are leaderless, and a militaristic, organized Aryan Brotherhood led by actor Chris Sullivan’s Andrew Blackwell. Although Rugussis never delves into the indoctrination that creates a white supremacist, in this case I don’t know if it was necessary. Imperium is first and foremost a thriller, not a diatribe on the various aspects of white supremacy. If that’s what you’re looking for I’d suggest the multitude of documentaries out there regarding the issue, or watch American History X. Despite their best efforts some actors are always going to be associated with an iconic character they played as a child. Elijah Wood will always be known as Frodo, Michael J. Fox will always be Marty McFly, and Melissa Joan Hart will always be Clarissa from Clarissa Explains It All. (Yeah I went there.) 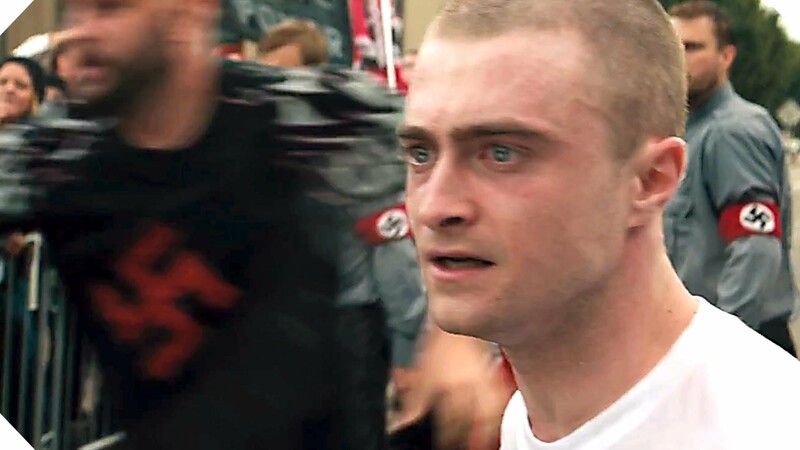 Although Daniel Radcliffe falls within the category as it pertains to the Harry Potter franchise, Imperium proves that Radcliffe is more than just the “Boy Who Lived.” Radcliffe gives a nuanced and multilayered performance. 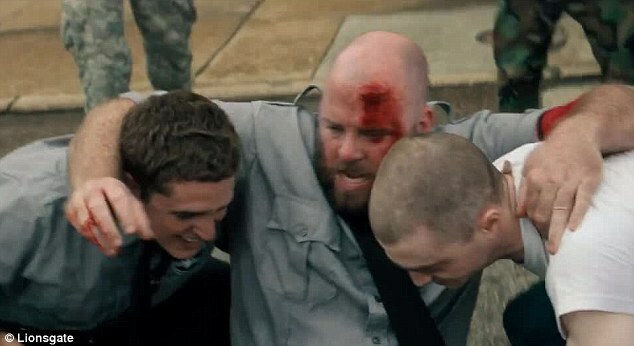 To see him transformed from a tentative FBI field agent into an undercover radicalized skinhead is a sight to see. I can’t tell you how jarring it was to hear Radcliffe drop the N-bomb during a parade sequence. Every time Foster comes close to having his cover blown your heart is in your throat. There’s a particular scene (that I won’t spoil here) which completely encapsulates how close to death Nate constantly is. Not to be outdone, actress Toni Collette captivates the screen as Special Agent Angela Zamparo. While most of the terrorism task force focuses their concerns on ISIS and threats from abroad, Zamparo stoutly believes that domestic terrorism is as much a threat, if not more, than international terrorism. Although her motives for recruiting Foster serve her own self-interests, there’s no questioning her passion on the topic. Zamparo sees Nate as her gateway to the Aryan underbelly because of his likeability and canny knack for empathy. On a recent business trip I had the privilege to attend a workshop on change. One thing that stuck with me is that one of the primary reasons people resist change is because they believe they are losing something. Collette understands this idea and conveys how white supremacists use this concept, perfectly. The most frustrating thing about Imperium, however is the ending. I’m not saying it’s a bad ending. On the contrary it is a very solid and fulfilling ending. Unfortunately it doesn’t quite seem to fit with the rest of the tone of the movie. Imperium succeeds because it creates a slow burn punctuated by a few moments of flare ups. The logical conclusion being that the film would end with some monumental explosion figuratively or literally. It’s confounding then that Imperium would end on such an anti-climactic note. Overall, Imperium impresses as a taut, solid thriller. It’s undoubtedly Radcliffe’s best acting vehicle post Harry Potter and boasts a strong narrative, while leaving time for social commentary. Although not on par with the superb Green Room, Imperium nonetheless is an impressive, entertaining, and sometimes thought-provoking movie. You can follow me on Twitter at @DarthGandalf1 and watch for the latest movie, TV, and geek news stories at my Facebook page https://www.facebook.com/flicktasticmovies.